Easter came and went, which means that graduation is just around the corner. Even if you have your high school or college graduation party planned out, there is always room for improvement. One way you can improve your party is by getting a graduation party projector rental. Graduation parties signify a new phase in life and the end of another. Here are three projector-oriented tips which will help you ensure that your graduation party is a blast. Slideshows of photos from school-years provide a great way to reminisce with friends and family. 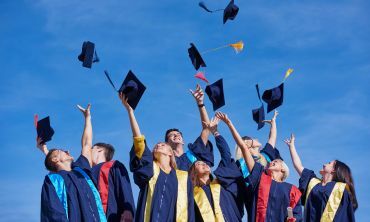 This technique is especially effective if you are hosting a high school graduation, as your guests can see how the graduate grew as a person throughout the years. Make sure to include the most memorable pictures. Although we do not always capture our favorite moments in life on camera, we do have our own favorite pictures to choose from. If you decide to set up a picture slideshow, consider playing some accompanying music at a reasonable volume. You want your attendees to socialize and blaring music can make talking to others difficult. Videos are also enjoyable to watch when put into montages. Of course, you have to have some good videos recorded beforehand for this method to work. If you do have some videos from the graduate’s school or college years, I would highly recommend including them, as videos can easily captivate an audience. A graduation party is still a party, there should be some fun involved right? 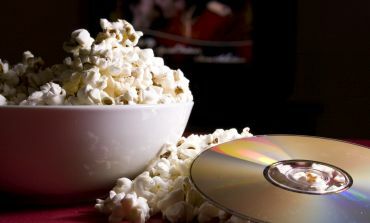 If a photo or video collage does not suite your party’s pace, or if you just want to use the projector for something else after awhile, watching movies is an entertaining alternative. Getting a movie projector rental allows you to watch movies both inside and outside, and can let more people watch movies more comfortably. If you have a lot of people attending and you have nice weather for your party, you should definitely consider doing this outside so you don’t have a bunch of people crammed into one room, and you also have nature to take care of your party’s air conditioning. Stock up on popcorn and refreshments and you’ll be good to go. It sounds like a horrible idea to use a projector for musical purposes doesn’t it? Well, you might actually be right depending on how good of a singer you are. Karaoke is often only really prevalent in clubs or bars, but a lot of projectors are compatible with karaoke machines. So, if you or any of your attendees aren’t embarrassed by their singing voices, cast some words onto a screen and start singing away! Not all of these options will suit everyone’s party plans, and a lot of people already have their parties planned out, but hopefully you will be able to find some usefulness from these tips. And if you can’t implement any of these tips this time around, you can always get them next time!